Join us Wednesdays at 11:30a CST! 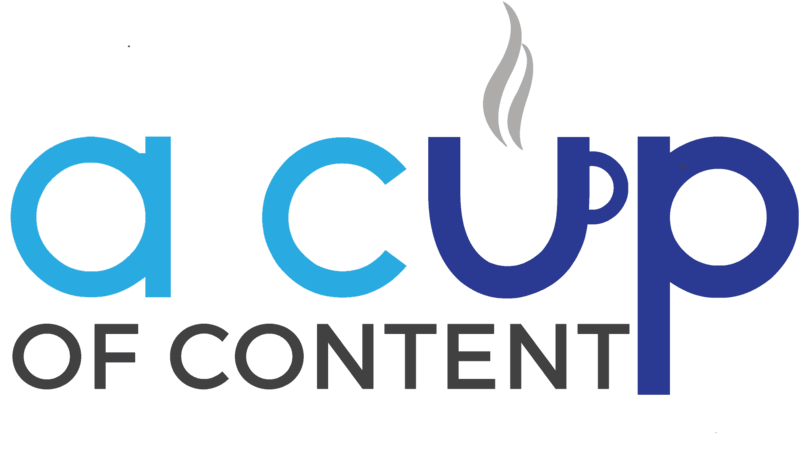 #TheCoffeeBreakLIVE is our Facebook Live show on Wednesdays at 11:30a CST, where we dive into the messy world of content marketing. Comment with the word LIVE on any show's comments to be added to our CoffeeBot, where we send you a friendly reminder via Facebook Messenger just before we go live each Monday and Wednesday. 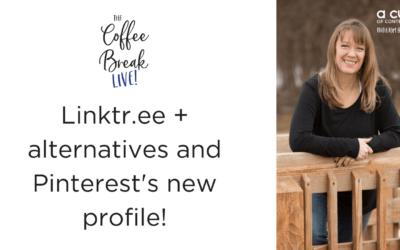 #TheCoffeeBreakLIVE is back! Topics for Episode 11: Aspirational identities: what are they and how are they useful in your marketing? #TheCoffeeBreakLIVE is back! Topics for Episode 10: On deck today is GDPR and how it pertains to YOU in the US, a new graphic design platform you'll want to check out, and more! 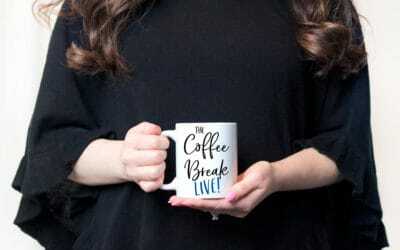 #TheCoffeeBreakLIVE is back! 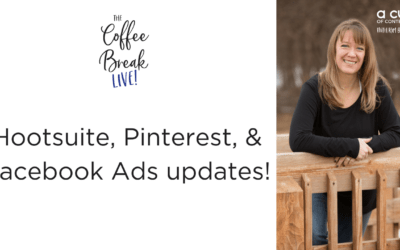 Topics for Episode 9: After a little hiatus last week, we are back with some updates on Pinterest and Facebook Ads. And it's Kim's birthday! 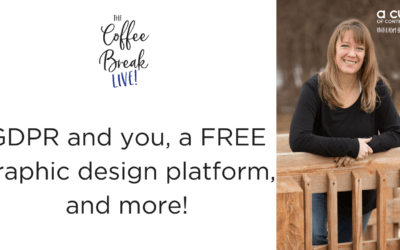 #TheCoffeeBreakLIVE is back! 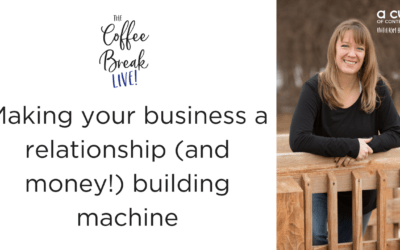 Topics for Episode 8: Making your business a relationship (and money!) building machine! 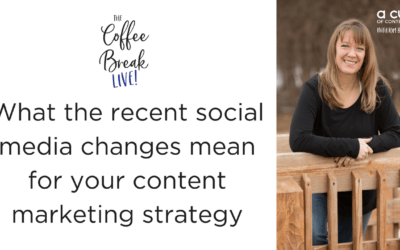 In Episode 5 of #TheCoffeeBreakLIVE, Kim dives into all of the social media changes...and how they affect your business. 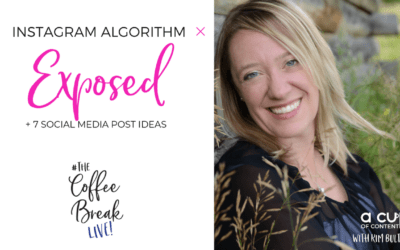 In Episode 4 of #TheCoffeeBreakLIVE, Kim explains why numbers don't pay the rent, but being visible in the right spaces does.